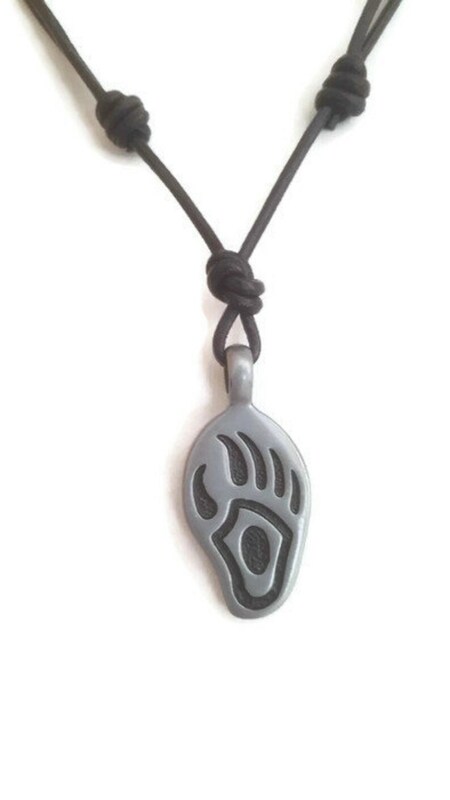 Bear paw claw pewter pendant on adjustable cord. 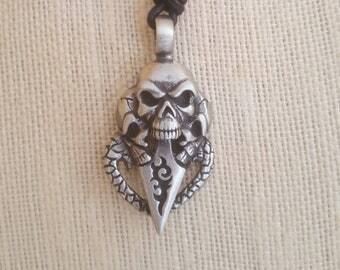 Can be worn long or choker. One size fits most. and a little over 3/4 inches wide. Cord Closes to approx. 14 inches. Opens to approximately 24. When it is open hangs to around 6 inches from neck. Very nice simple design for the Bear Lover in anyone. Thank you for looking, if you have any questions please click "Ask a Question"
Favorite my shop for updates, new products and sales!! Thanks again for looking, don't forget to hit favorite. Take it easy! Smile a little, Laugh A Lot.